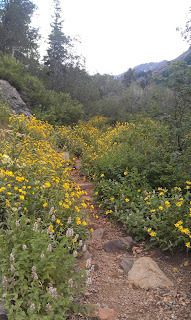 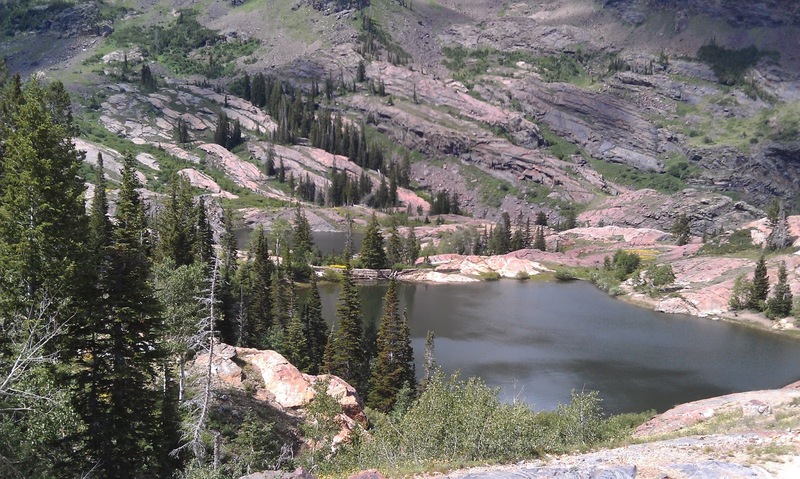 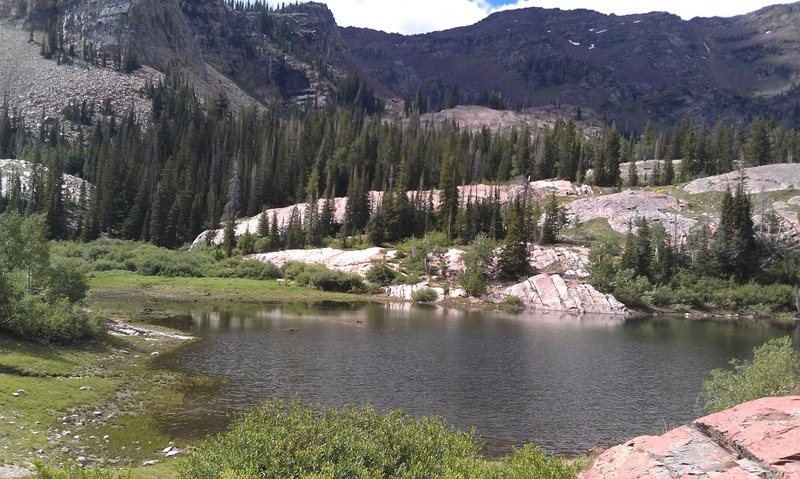 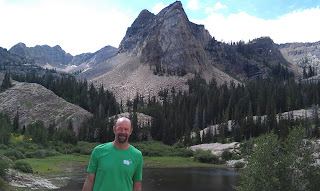 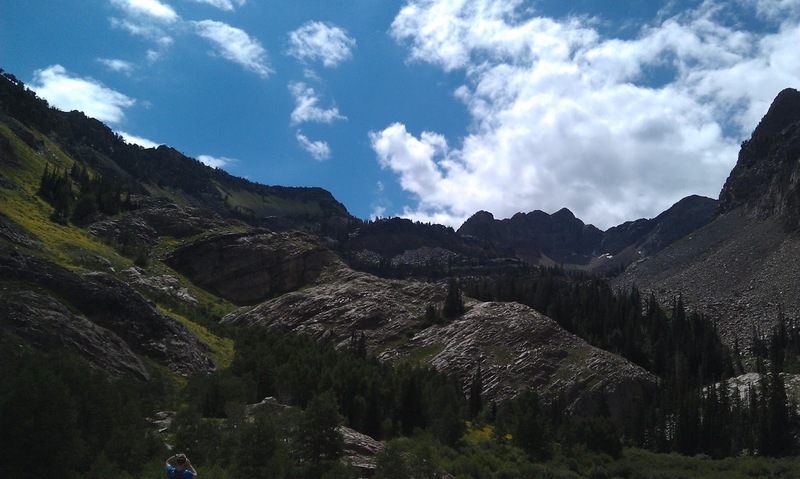 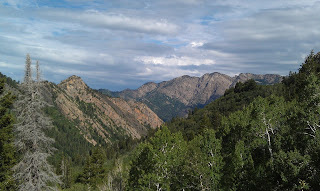 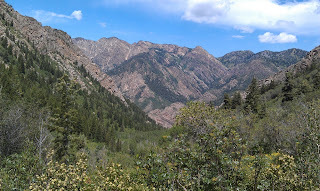 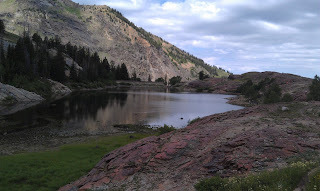 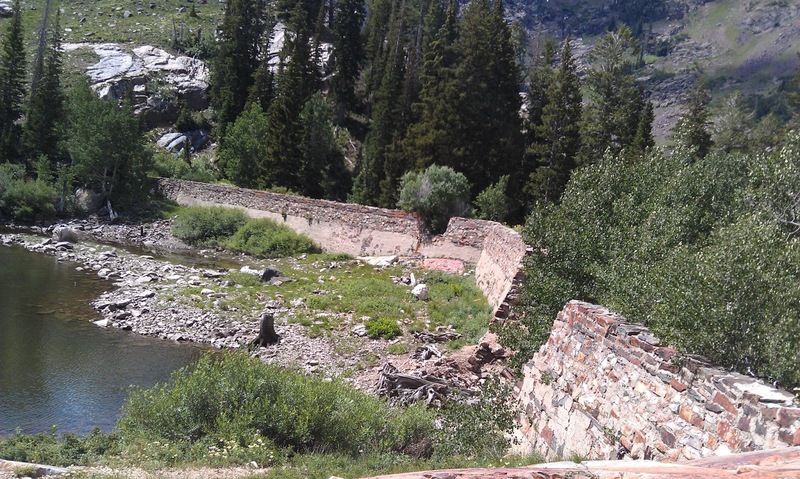 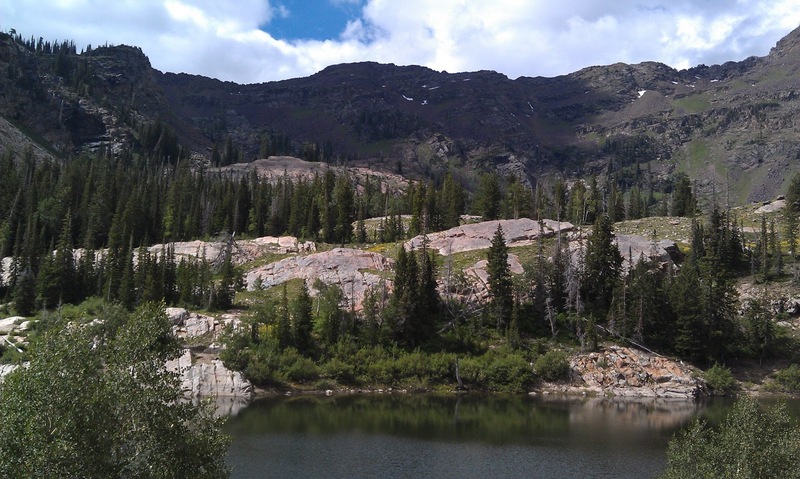 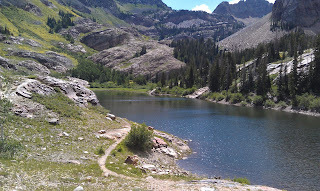 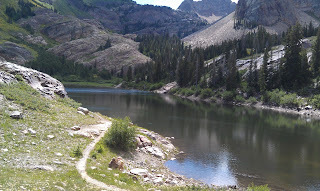 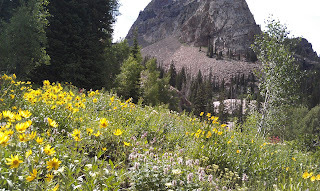 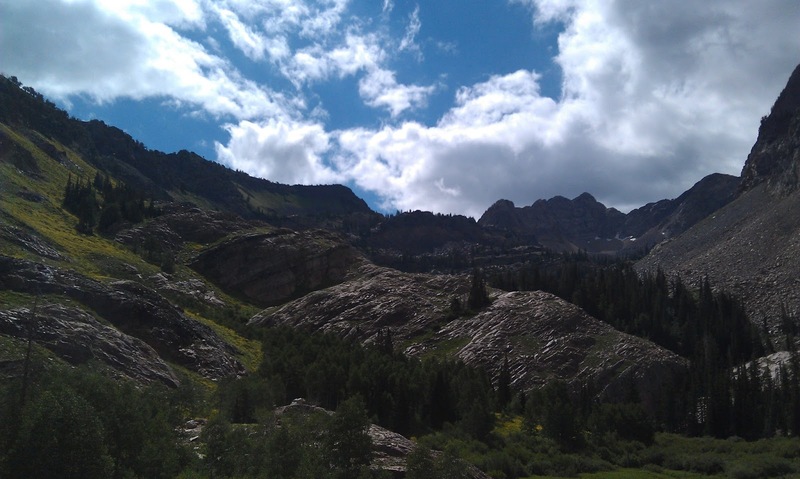 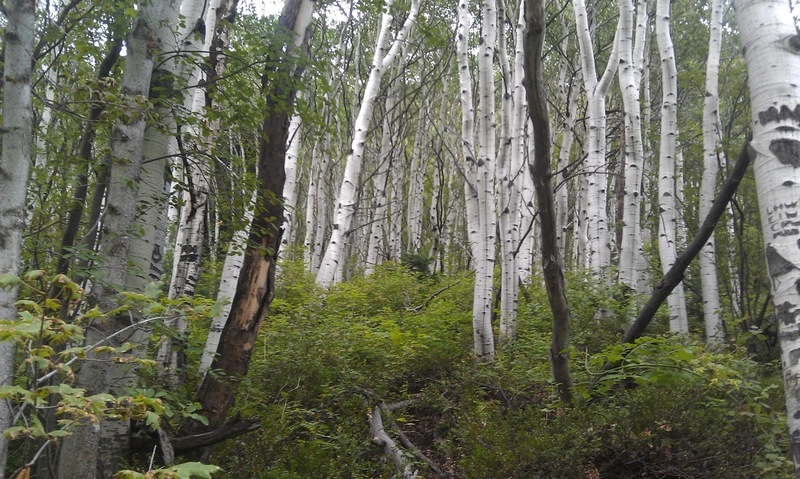 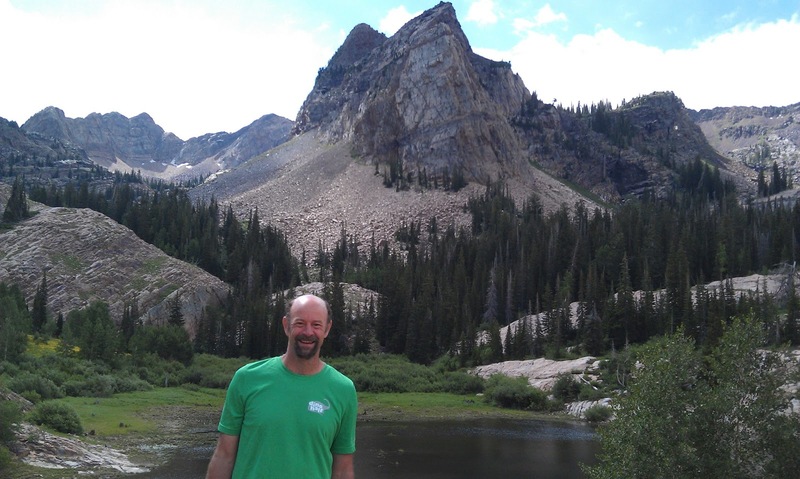 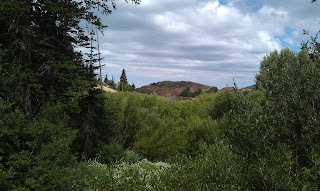 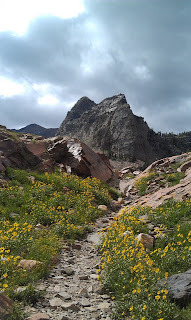 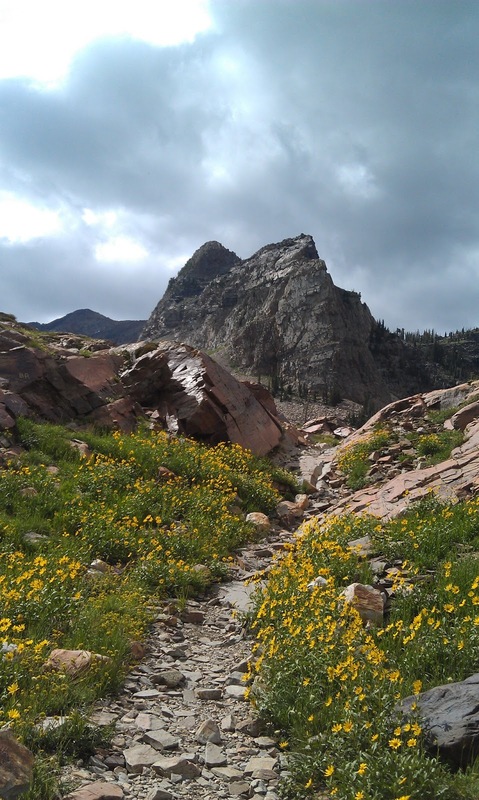 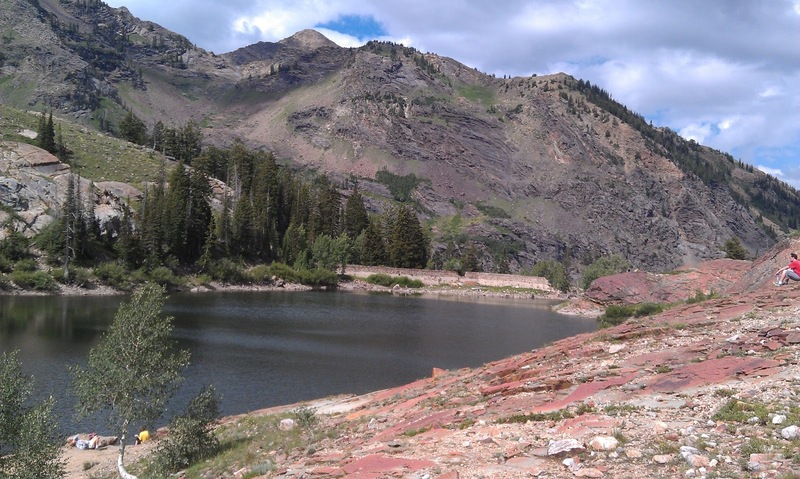 A friend of mine suggested that we tackle Lake Blanche, a serious hike that starts about 15 minutes from my apartment. 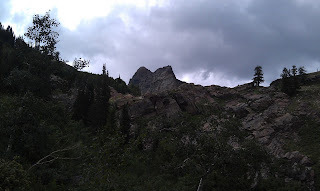 We started off at about 8AM avoiding most of the summer heat, despite a threat of rain. 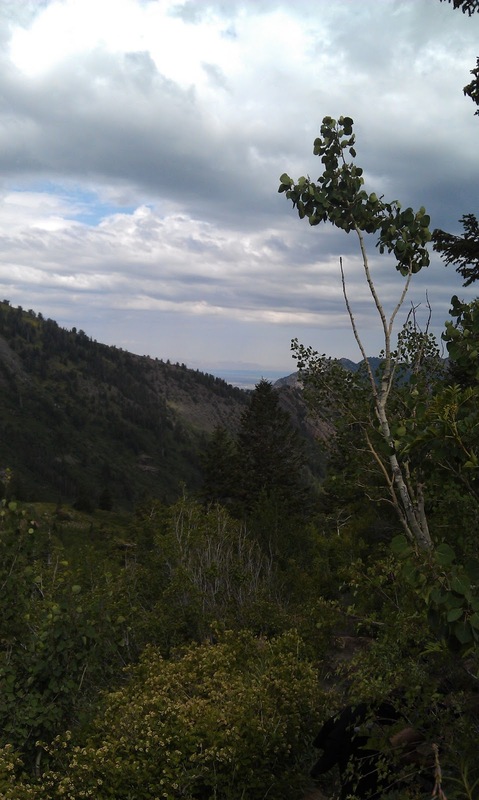 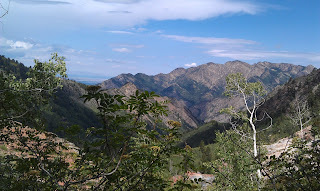 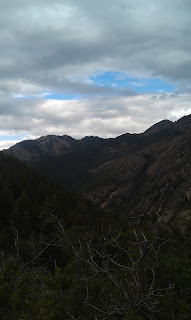 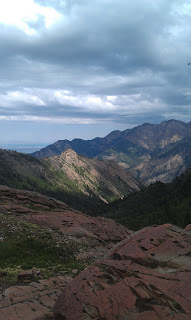 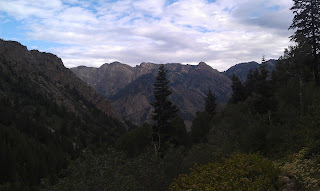 We had talked about bailing on the hike on account of the potentially bad weather, but I am glad we didn't. 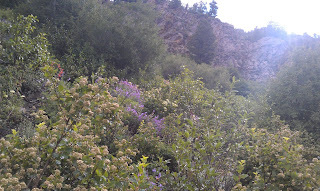 For mid-July weather, we were treated to reasonable temperatures. 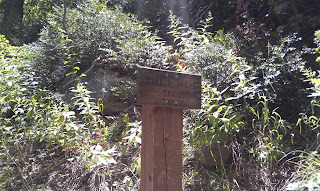 The trail was well marked, consisting of single track trail. 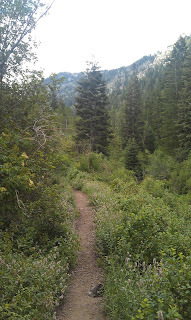 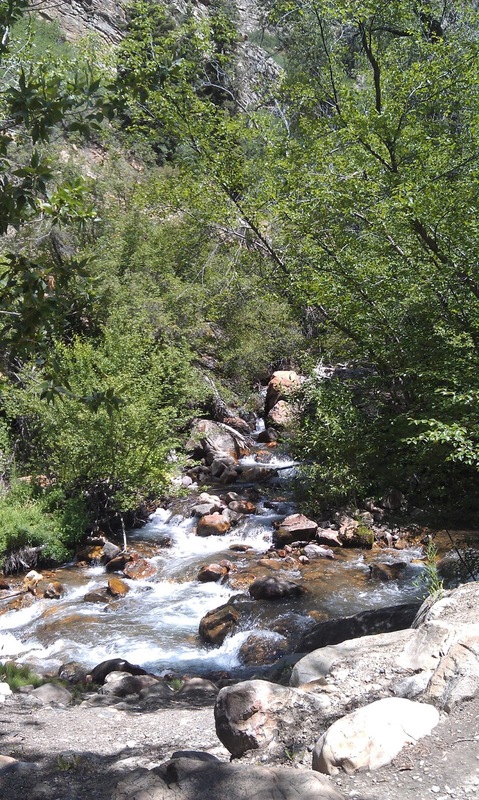 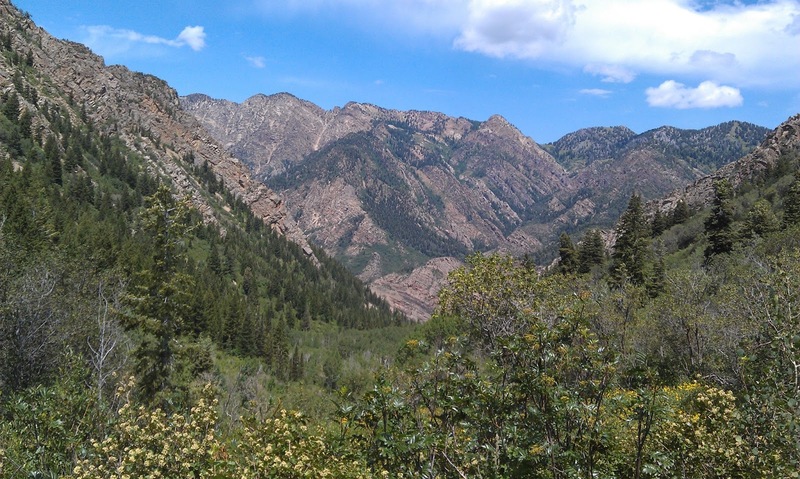 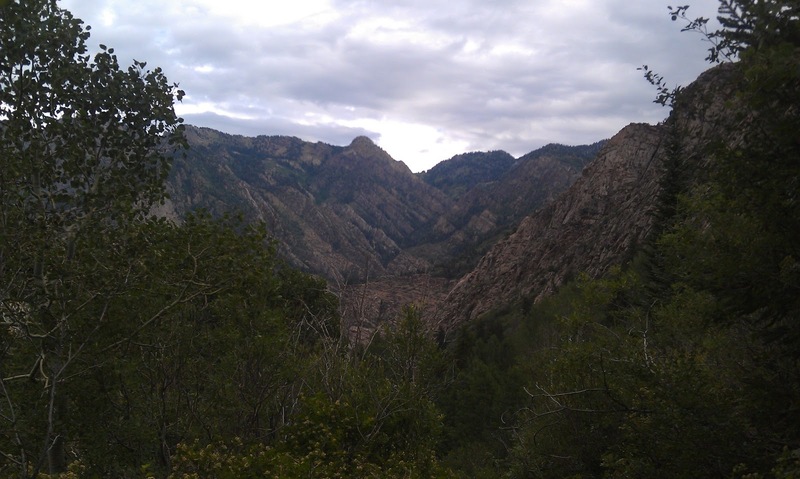 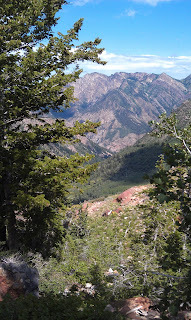 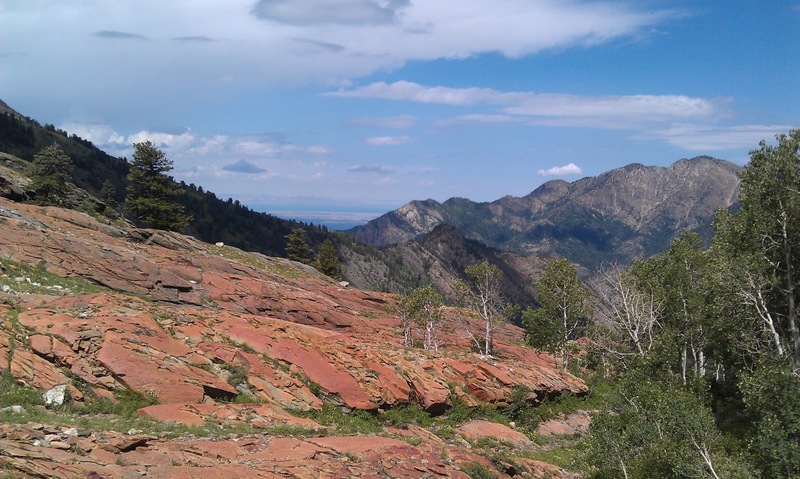 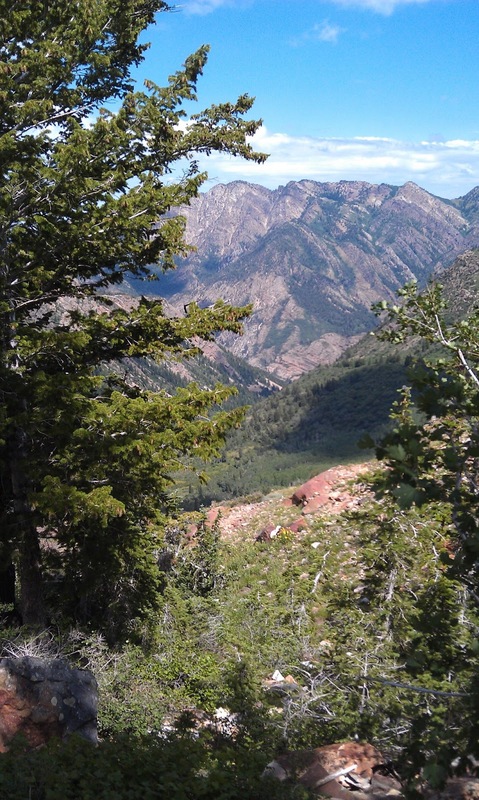 The first two miles of the 3 mile hike is a very steady ascent and if you aren't in shape, you will pay for it. 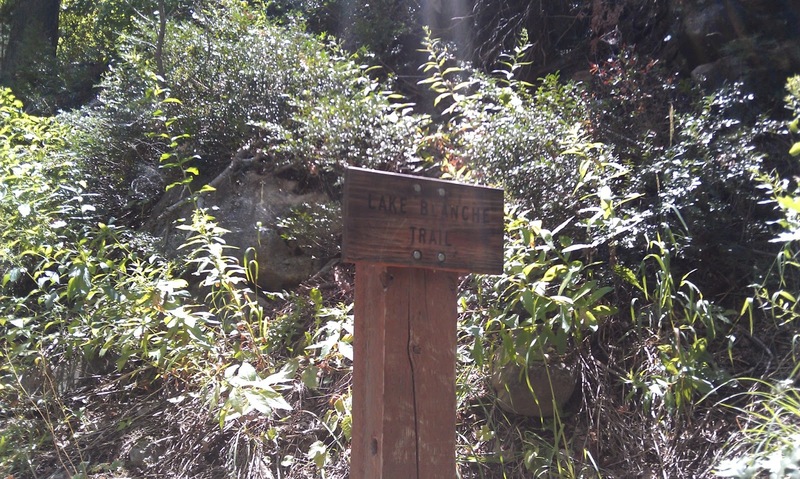 Be prepared and have plenty of water and while the trail seems to be safe, there are a few places were you will be scrambling over rocks. 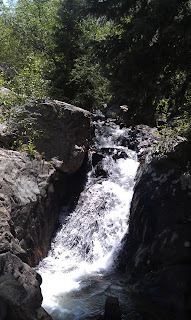 For the first mile you also will hug a roaring spring brook. 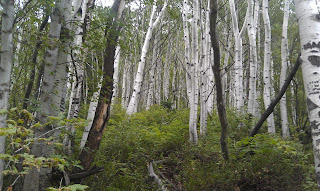 While not always visible, you can certainly hear it through the trees. 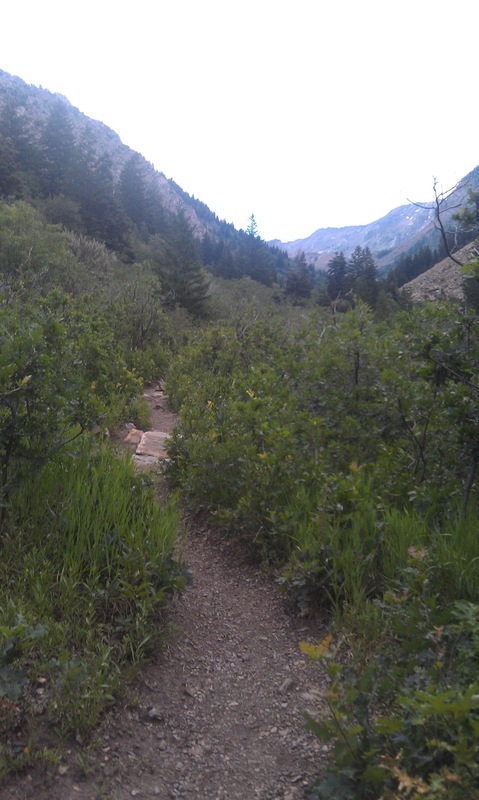 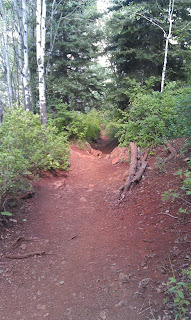 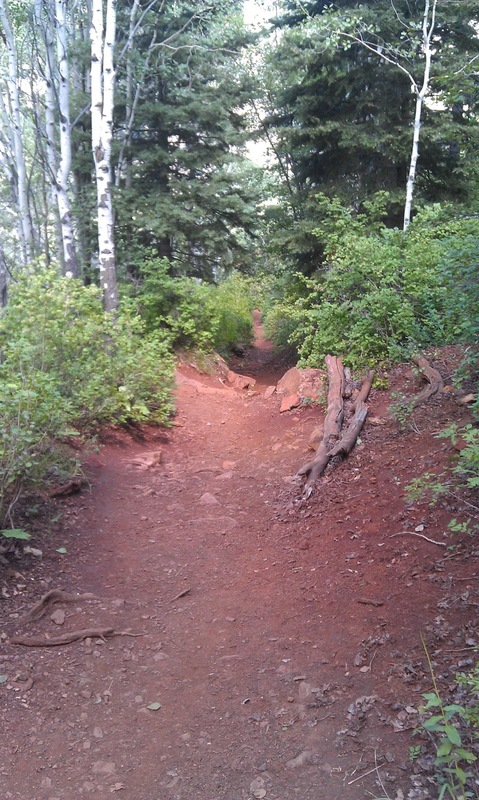 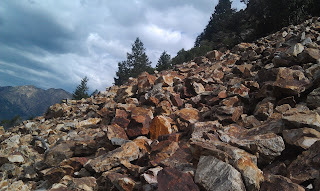 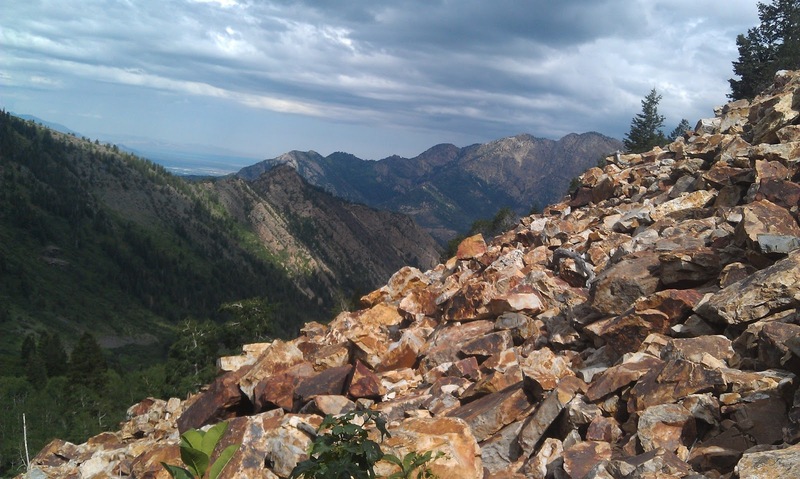 The final mile involves a lot of scrambling over rocks, but once again the trail is extremely well defined. 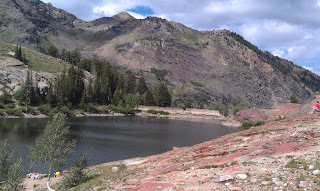 The roughly 3 mile hike to the lake took us close to 90 minutes. 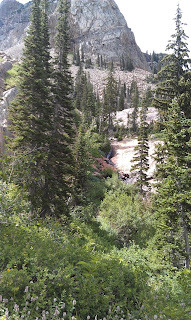 We took lots of breaks and the increasing altitude will take a toll on you. 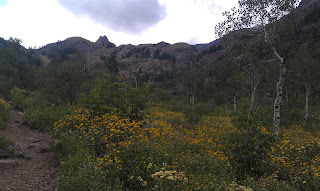 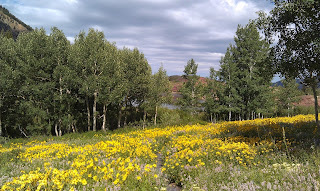 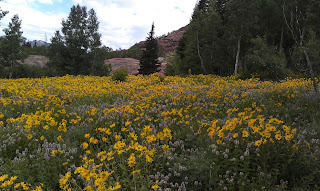 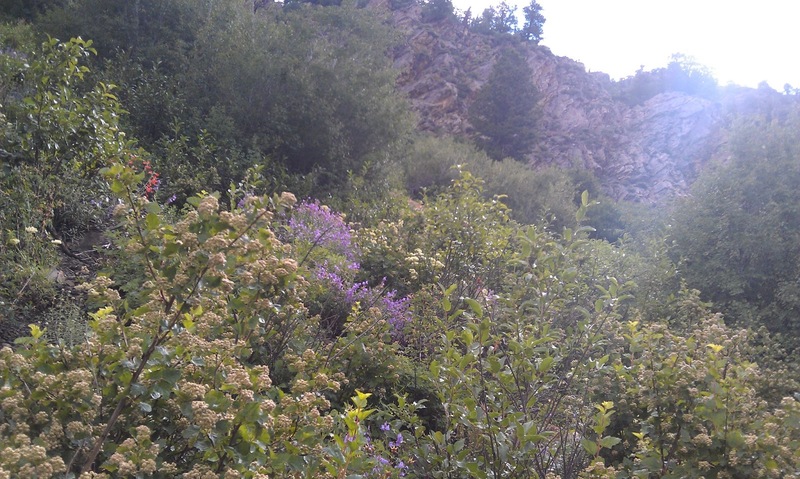 Once you arrive at the lake, you will be treated to a meadow full of yellow, purple and white flowers. The lake (a pond by midwest standards) is very gentle and well worth the trip. 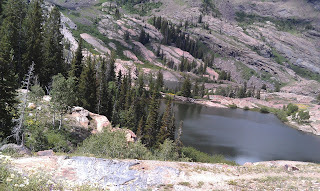 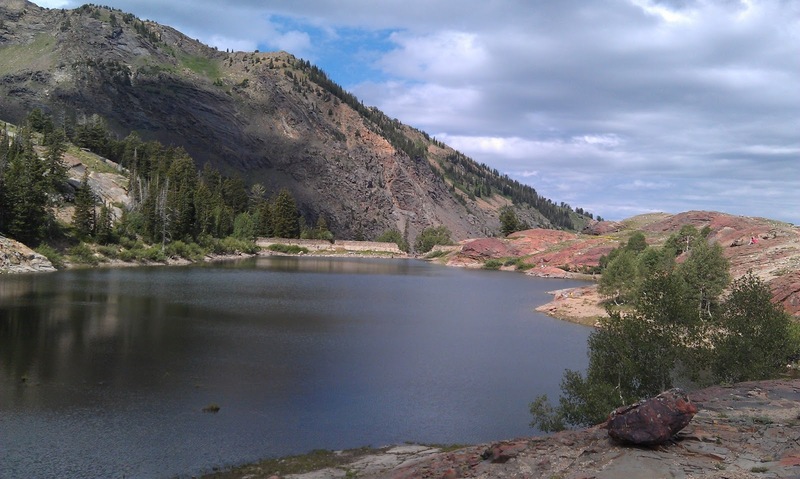 While less impressive, the two sister lakes are a quick 5 minute hike. 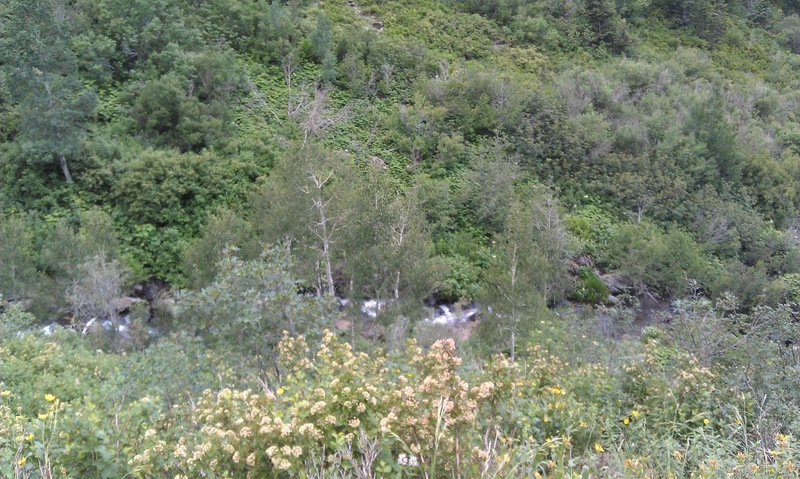 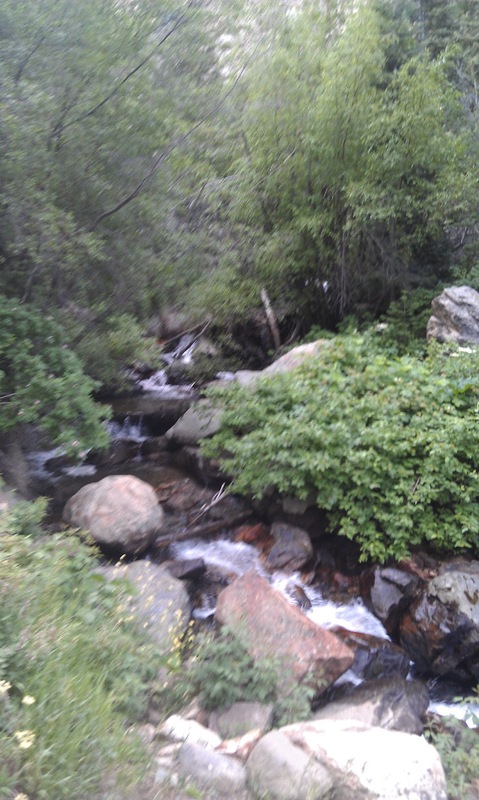 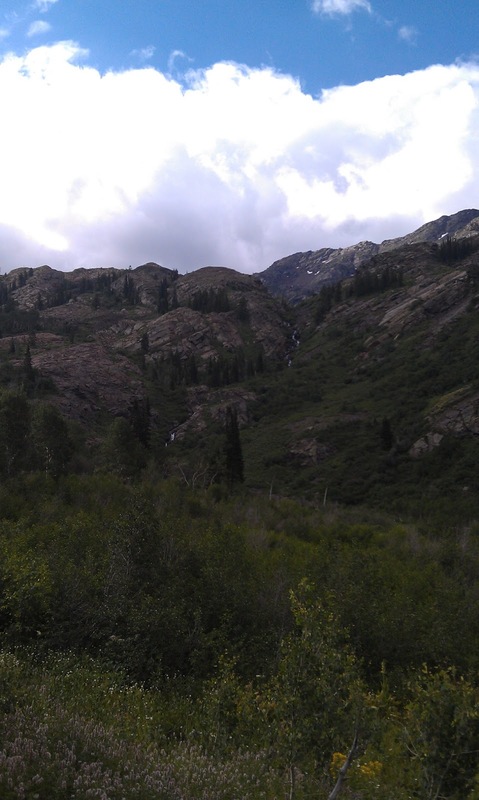 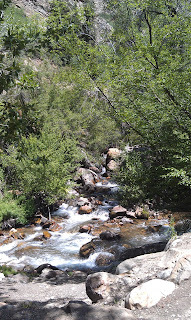 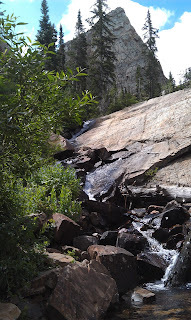 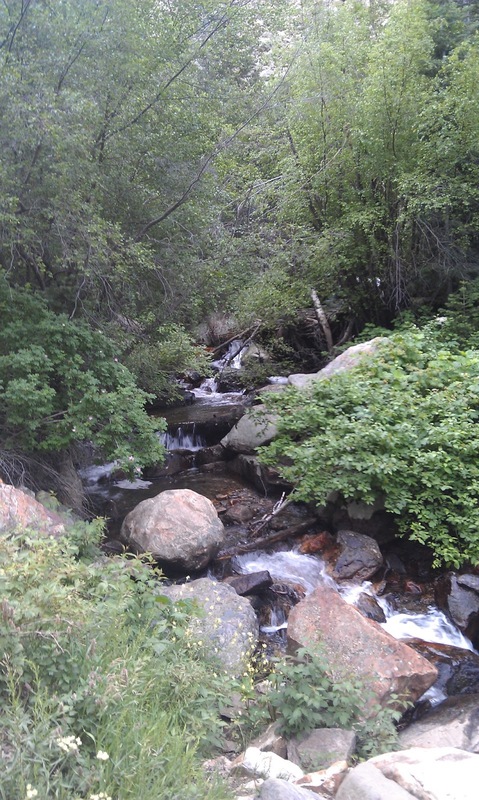 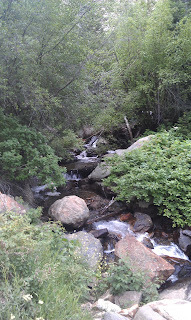 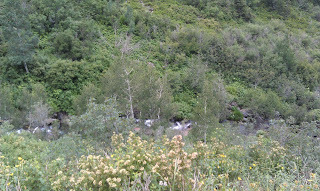 I also went for a quick hike and spied the falls that feed the lake (after crossing a meadow of yellow wild flowers). 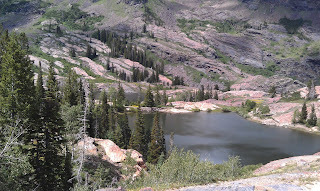 another set of great pictures! 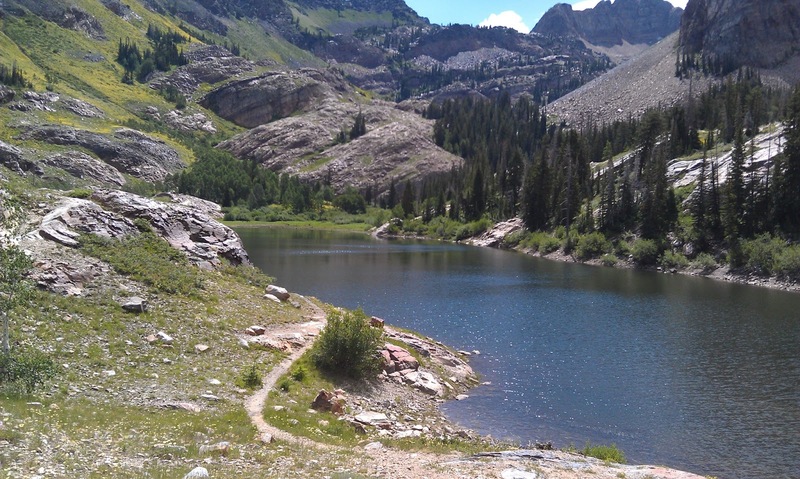 thanks for documenting and sharing your stories!